Product prices and availability are accurate as of 2019-04-18 04:46:55 UTC and are subject to change. Any price and availability information displayed on http://www.amazon.co.uk/ at the time of purchase will apply to the purchase of this product. 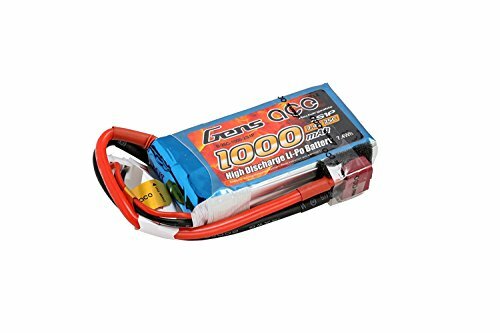 Gens ace LiPo battery 1000mAh 2S1P 25C LiPo for: 250 helicopter, 800mm Warbird. Anything you want to know, please be free to leave a question below the columns Customer Questions & Answers, our customer service department will reply you as soon as possible. Noted: Wareshouse locates in Dusseldorf, Germany. Now, we can delivery our battery to 26 EU countries. According to negotiation with DPD and TNT, your package's shipping fee have to charged at different level. Please pay attention, battery over 100wh (watt=capacity* voltage, like 4500mAh 22.2V, 4.5Ah *22.2V=99.9wh) only can delivery via TNT from Germany to destination. 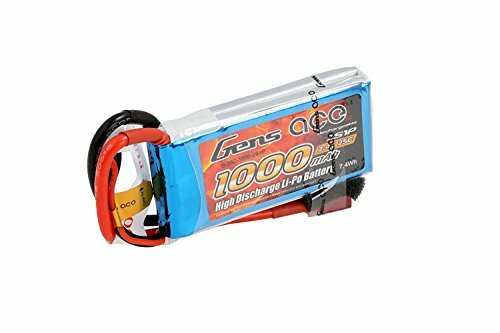 Gens ace Professional LiPo Battery. 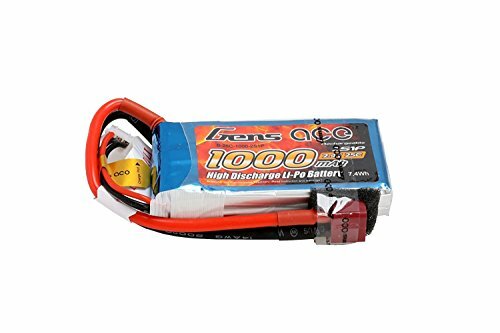 Superior Japan and Korea Lithium Polymer raw materials. 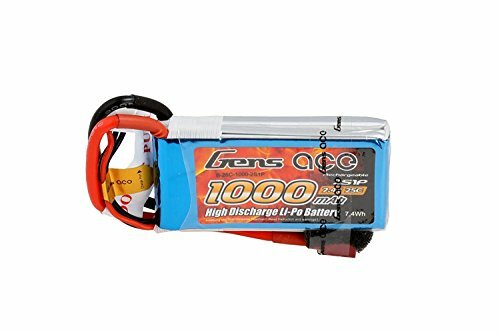 Capacity: 1000mAh, Voltage: 7.4V, Configuration: 2S1P, Max Continuous/Discharge: 25C, Max Burst/Discharge: 50C. Dimensions: 71*36*13mm, Weight: 68g, Connector Type: T-plug, Balancer Connector Type: JST-XHR. Applications: 250 helicopter,800mm Warbird, etc. The official brand store in Amazon, shipping, quality and after-sale service guaranteed by our child company in Germany.